Cut-Resistant Fabric Could Help You Keep Your Skin In One Piece | OhGizmo! 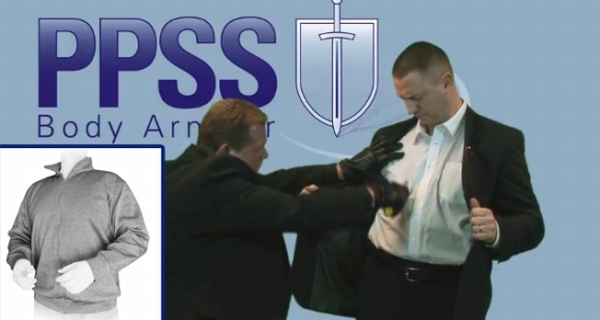 If your line of work has you traveling to places where knife wielding miscreants may want to harm you, you’d be well advised to look into PPSS’s line of cut resistant clothing. Made from a new fabric called Cut-Tex® PRO, these garments protect you from a surprising level of knife slashes. They apparently exceed strict ISO standards for such things (we didn’t know these existed, to be honest), and will keep you intact possibly long enough for you to either get away or reach for a sidearm. Keep in mind that there are two important words here: resistant and slashes. This means they are not completely impossible to cut, so if you want to test them by hugging a running chainsaw, you’re gonna have a bad time. And if someone stabs at you (as opposed to a slash)… well, tough luck. The knife will likely go inside of you, maybe with some of the clothing wrapped around it. Still, some protection is better than no protection, and PPSS has seen success selling these garments outside of the personal security industry, focusing on the flat glass, sheet metal, and automotive field where workers can get cut on a regular basis. To give you an idea of the price, a sweater is said to run around $315. Hit the jump for a terrible video of the fabric in action, plus links.